BEDFORD-STUYVESANT, Brooklyn (WABC) -- A church in Brooklyn was destroyed by a fire, but fortunately, no one was inside. 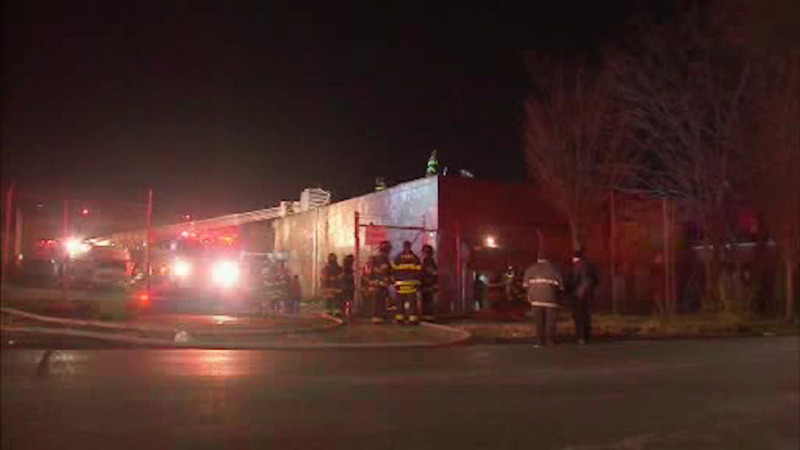 More than 100 firefighters responded to the two-alarm fire on Ralph Avenue in Bedford-Stuyvesant around 7 p.m. Heavy flames were coming out of the rear of the building. The fire was out after about an hour.